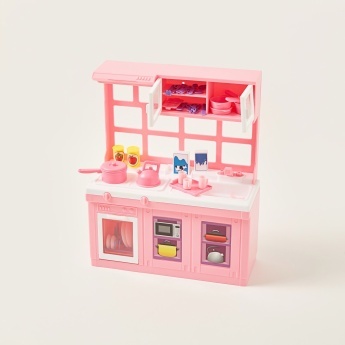 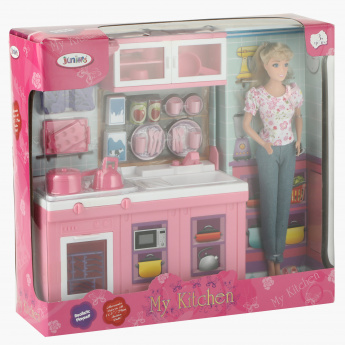 While you complete your work in the kitchen, your little girl will have a creative time playing with this kitchen playset. 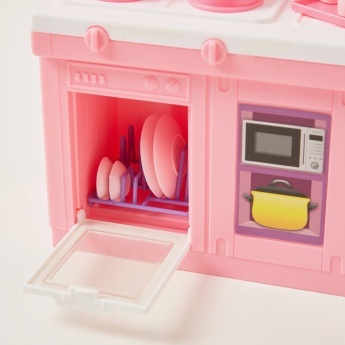 The realistic pieces enhance the play experience. 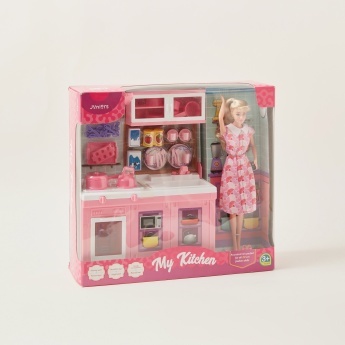 This set includes a doll as well.